I?? ?ve been back from Hawes for just over 24 hours and I?? ?m already looking forward to the next outing to Cheddar.?? However, before getting ahead of myself, I thought that I should take some time to reflect on the Hawes holiday.?? I guess that the main thing was the weather.?? Although there were some chilly winds, the sun shone for a lot of the time and there was only one showery morning during the two week stay.?? Not too bad for April. My 11 walks totalled just over 80 miles and included over 12,000 feet of ups and downs.?? Generally these weren?? ?t too bad but my knees certainly felt the steep descent from the top of the Howgills second time around.?? 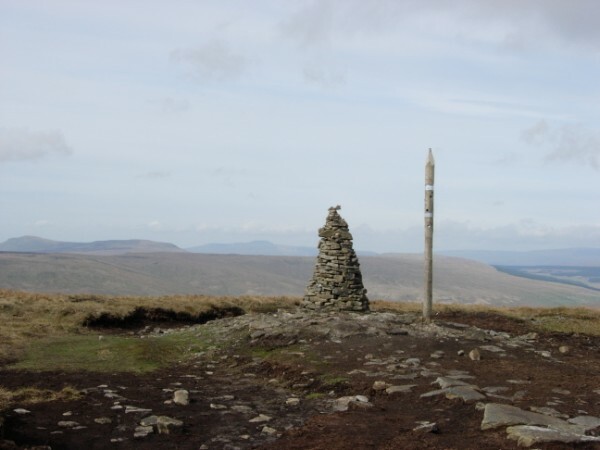 If I had to pick out my two favourite walks then I would choose the 3 miler from Hawes to Burtersett & Gayle on a sunny Saturday morning and the first ascent of the Howgills, whilst on my own.?? The 3 miler was just a nice relaxing walk on a perfect morning whilst the Howgills were far more strenuous and presented a navigational challenge and the satisfaction of not getting lost. 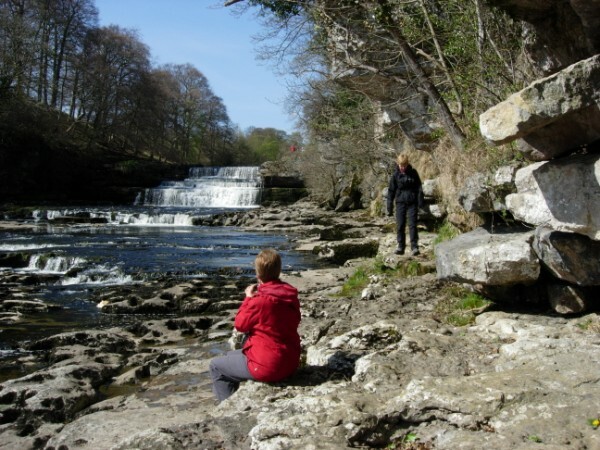 I think that Amanda & Beatrix enjoyed their time in the Dales and our walks together certainly provided the opportunity of seeing what the area has to offer to keen walkers.?? Thankfully the attempts of a suicidal woman driver coming the other way at great speed on a narrow and winding single track road near Dent Station failed and we all lived to tell the tale. This entry was posted in Uncategorized on 29/04/2010 by fenlandramblers. The last walk of the Hawes holiday was one that I tried many years ago but got lost in low cloud and had to return to my starting point in the village of Buckden.?? Thankfully, today?? ?s weather conditions were almost ideal as I set out on this 8 mile route and 1,800 foot climb to the summit of Buckden Pike. The climb up the side of Buckden Beck was really interesting and included a couple of scrambles up the side of waterfalls.?? Buckden Pike was reached in about 90 minutes after which there was a moor-top walk before starting the steep descent to Starbotton. From here the Dales Way was followed for a couple of miles in the valley bottom to return to Buckden. This entry was posted in Uncategorized on 27/04/2010 by fenlandramblers. I must admit to copying this picture from the internet as, although I saw Red Squirrels today, my camera wasn’t capable of producing such a good close-up image. 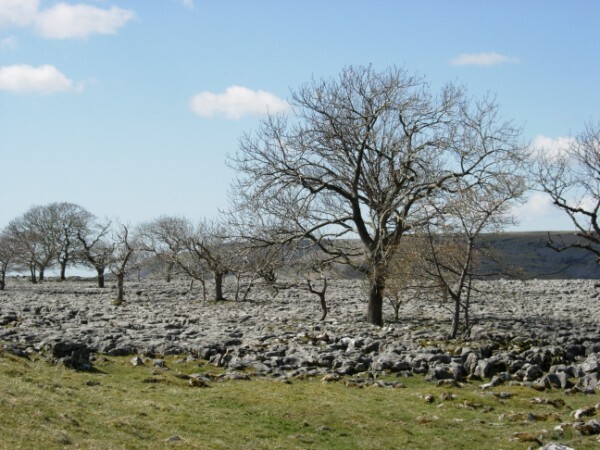 I set off on this 10 mile, 1,200 foot walk from Hawes thinking that I would be very forunate to see red squirrels. To my surprise and delight, when I arrived at the viewing area, a red squirrel was visible at about 20 yards taking nuts from a feeder. Sitting quietly, I soon saw about half a dozen other squirrels, some of them sneaking up behind me! 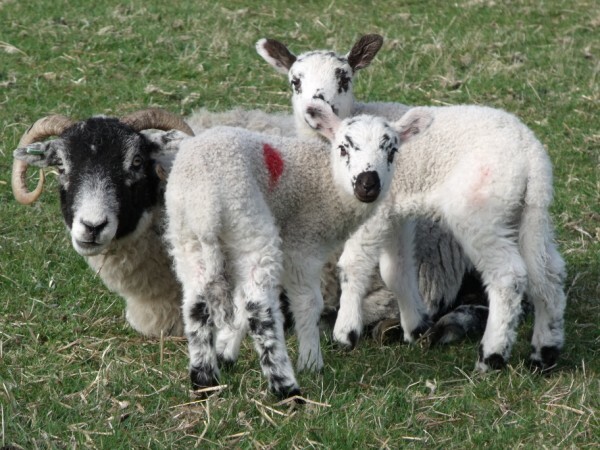 This entry was posted in Uncategorized on 26/04/2010 by fenlandramblers. 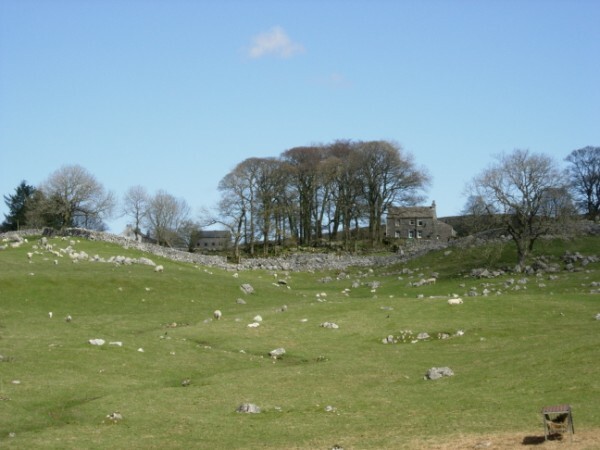 As I’m now on my own for the rest of the holiday, I decided to go for a short 3 mile stroll from the caravan site to Burtersett, Gayle and back through Hawes. It was a warm sunny morning and this easy paced walk was a most enjoyable start to the day. 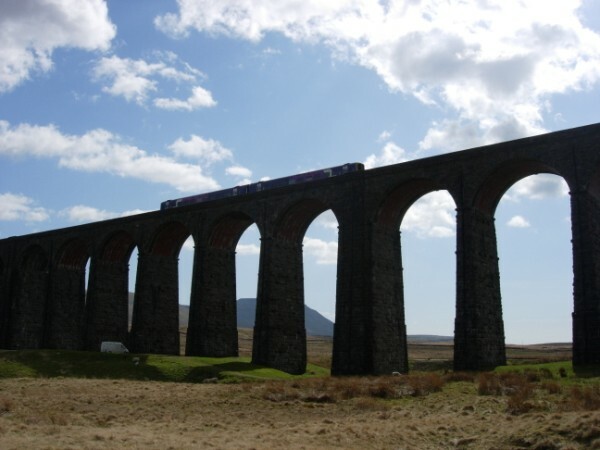 This entry was posted in Uncategorized on 24/04/2010 by fenlandramblers. Beatrix and I decided on something of a challenge today whilst Amanda had a day off. Our walk was a 6 miler with 2,000 feet of ascent. 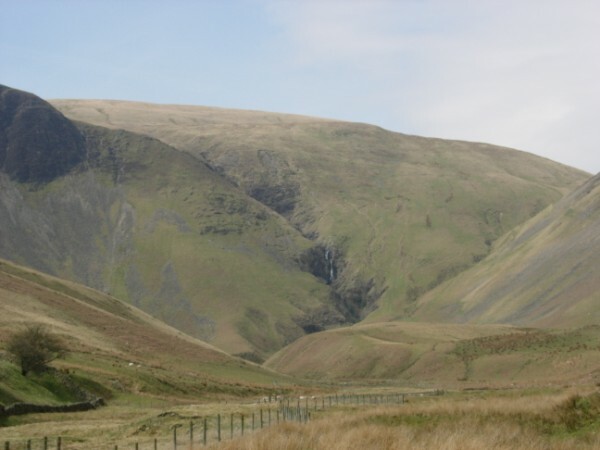 We started from the Cross Keys, outside Sedbergh, to climb up the side of Cautley Spout before heading cross-country to The Calf – the highest point of the Howgills. From there we went to Calders, Little Dummacks and Great Dummacks. Our descent was about 1,500 down the side of Great Dummacks. This was what seemed like a 1-in-3 fellside with no discernable paths, placing increased emphasis on good navigation. Although the descent was incredibly steep, the pay-back was the spectacular views back to our starting point. This entry was posted in Uncategorized on 23/04/2010 by fenlandramblers. Today’s walk was a near 8 miler with another 1,300 feet of ascent. 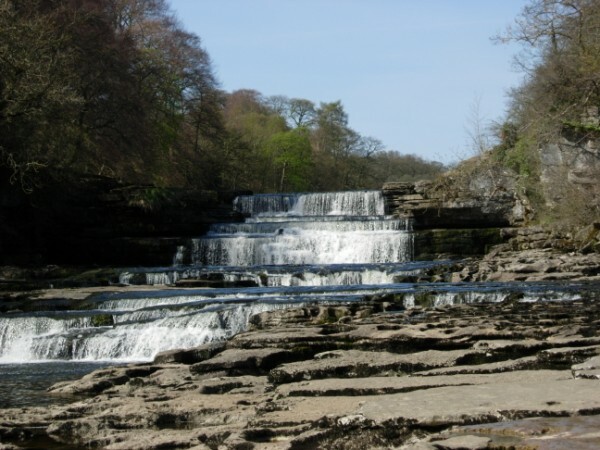 We started by taking a good look at Aysgarth middle and lower falls before returning for an obligatory stop at the tea shop and toilets before striking out on the main part of the route. Lunch was taken in the village of West Burton, after which we had a steep climb up to a high level route along the valley. 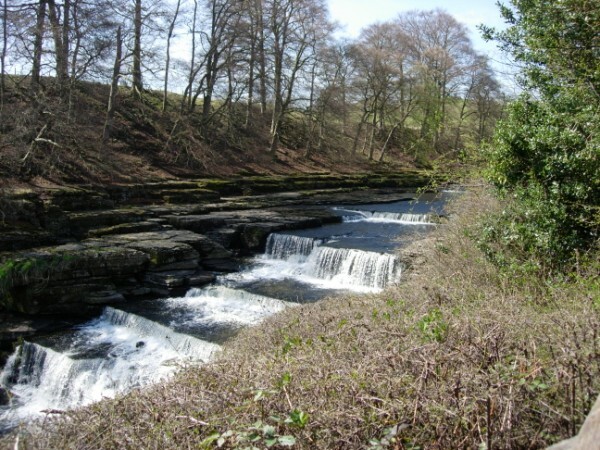 Our descent took us to the ruins of a Knight’s Templar chapel before walking back along the river bank to Aysgarth visitor centre. This entry was posted in Uncategorized on 22/04/2010 by fenlandramblers. Today’s walk was described as a fairly easy 6?? miler but my pedometer clocked it as nearly 8 miles.?? It didn’t really matter that it was a little longer than planned, as although it was a chilly start, it turned out to be a sunny and enjoyable day.?? 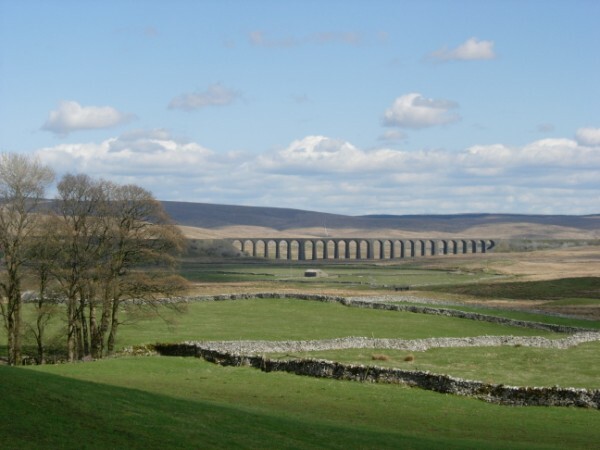 We started in the shadow of the Ribblehead viaduct before walking down the valley between Ingleborough & Whernside to Chaple le Dale.?? 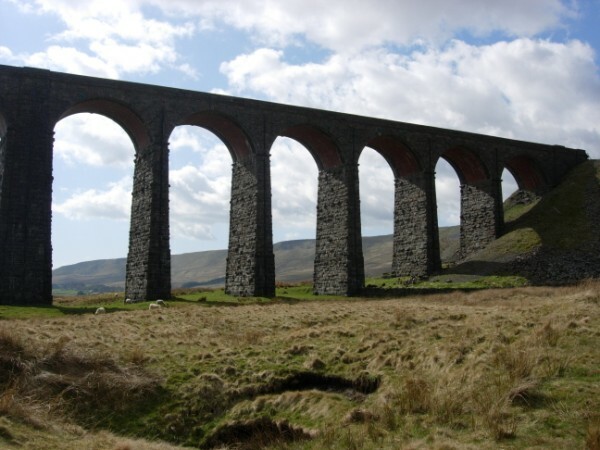 This was then our turning point before walking back up the other side of the valley to Ribblehead. This entry was posted in Uncategorized on 21/04/2010 by fenlandramblers.